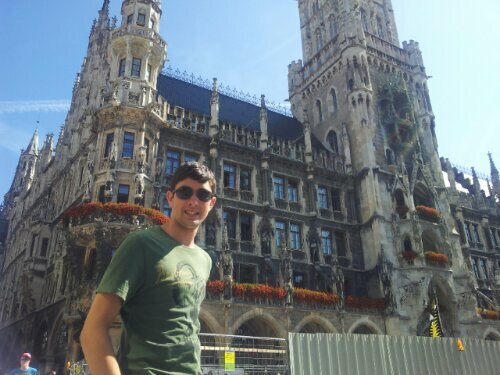 We arrived at Munich central and had a look around. Many pretzels, baguettes and sandwiches were on sale and looked quite tasty. 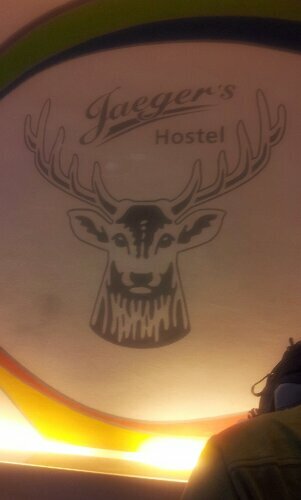 Our hostel (named jaegers hostel) was a 5 minute walk. We got there at about 7am. The problem was that our room would not be ready till 3pm. So we put our baggage in lockers and left to explore. We wanted to grab something to eat as we were so tired. 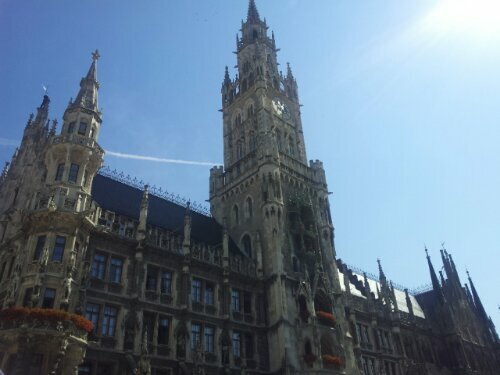 From the hostel we walked to one of the main areas of Munich. 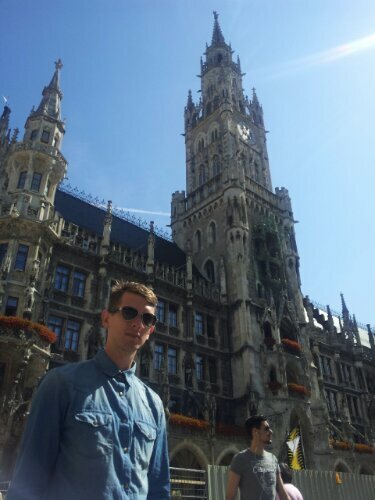 Known as karlsplatz stachus. 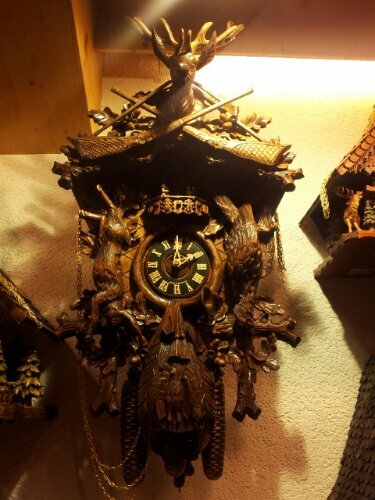 Here we came across an excellent cuckoo clock shop all hand crafted. They were all far too expensive unfortunately and wouldn’t of been easy to carry. They all looked amazing. We came across a church that looked very medieval and had bats flying over the top. Looked excellent. My phone then died on me so we took many photos on the digital camera. To be uploaded at a later date. We went to the English gardens and saw an excellent waterfall over a bridge. 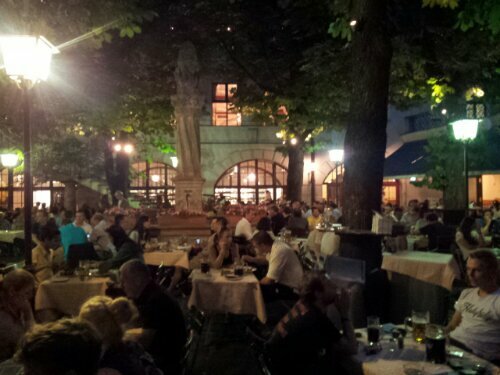 At the end of the English gardens was a populated location called chinesischer turm biergarten. 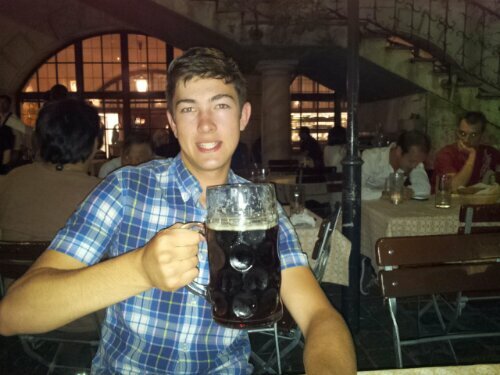 Here we could order litres of great tasting beer out of the barrels along with various meals. 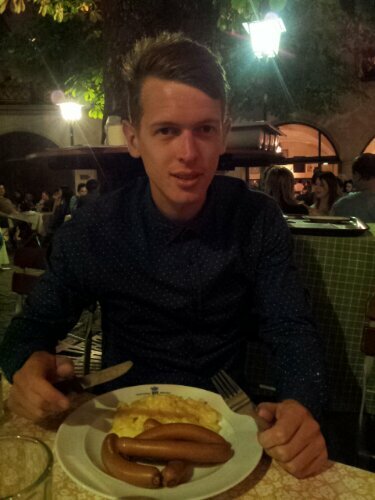 Joe got us the biggest rack of ribs that got very messy. When we walked back it was 2 hours before we arrived back at the hostel. Here we checked in at half 3 . meaning we had been out for 9 hours walking and sitting. We were so exhausted we stumbled into our rooms had a shower and both went to sleep. 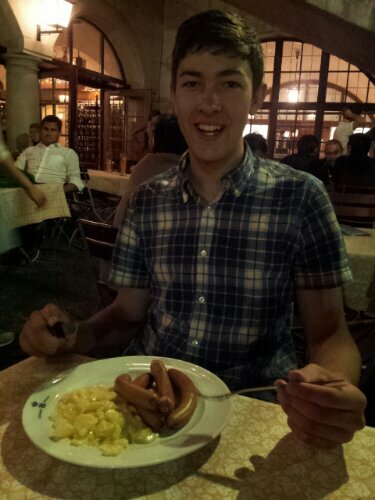 We got up and headed down to hofbauhouse for some beers, sausages and potato salad. Hey tom thanks for the comment. 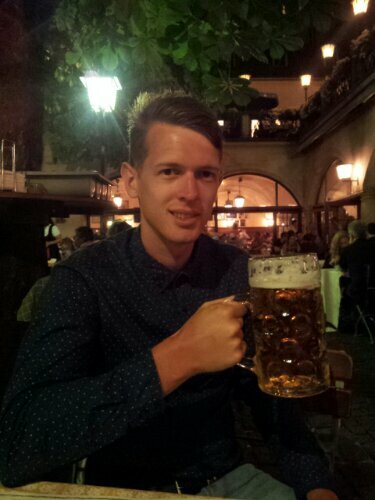 Yeah it has been good Munich has been one of the best places visited. 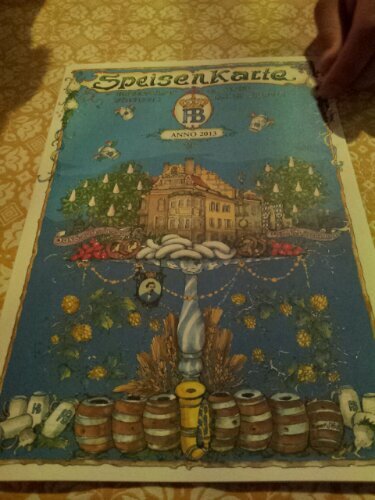 So much beer and food. Good luck with the job hunting.